What? 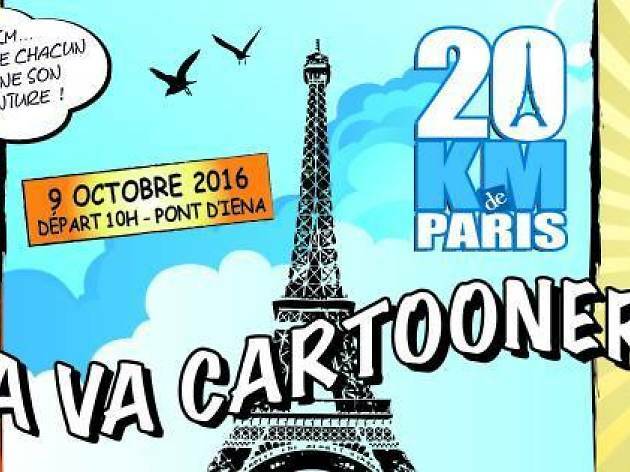 A 20km run through central Paris, this year with a ‘cartoon’ theme. While the April marathon may well be the biggest and most talked-about event of the Parisian running calendar, there are plenty of other events pro and amateur joggers can enjoy during the rest of the year. This autumn notably marks the return of the 20km Paris run, now in its 38th year. The 2015 run was a huge success with nearly 26,000 participants, and the 2016 event is set to be an even grander affair. The course will now take in Paris, the Bois de Boulogne and the banks of the Seine, before winding up at the Eiffel Tower. 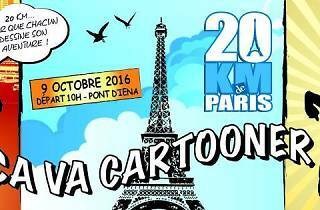 The theme for this year’s race is ‘cartoons’, under the direction of star cartoonist Soledad Bravi, who has been tasked with drawing cartoons to capture the spirit of the event. For more information on how you can register, visit the website.